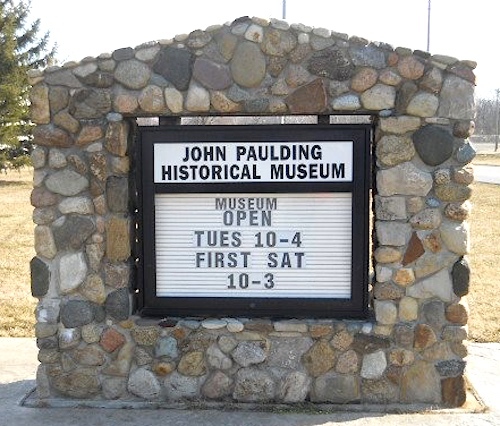 PAULDING – John Paulding Historical Society will be hosting its 7th annual Celebration of Arts and Artists at the museum located across from the fairgrounds in Paulding. This year’s theme is “Something Old, Something New” and will feature quilts. Paulding County artists or their family members are invited to bring their pieces to the John Paulding Historical Society Museum, 600 Fairground Drive, Paulding, on any Tuesday from 10 a.m.- 4 p.m. to be displayed in the quilt show. To submit your quilt or your great grandmother’s quilt, a registration form must be completed. Registration forms may be picked up at the JPHS museum or at any Paulding County Carnegie Library branch. Registration begins April 16 - 30. For more information please call the museum at 419-399-8218 or 419-399-3667. The quilt show will be open to the public beginning Saturday, May 11 and will run through June 15. The John Paulding Historical Society Museum is open every Tuesday from 10 a.m.-4 p.m. and the first Saturday of the month from 10 a.m.-3 p.m. The museum is free and open to the public.